IGNORING PERRY HALL MIDDLE’S OVERCROWDING IS UNACCEPTABLE!!! 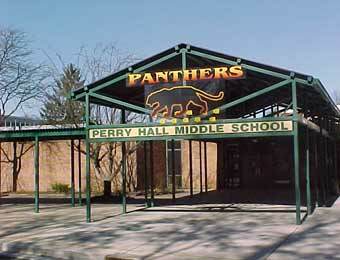 As you know, one of my priorities as Perry Hall’s Councilman has been to reduce overcrowding at Perry Hall Middle School. It was the primary reason why we downzoned, lowered and blocked development in 2016 on more than 1,268 acres of eastern Perry Hall. Last fall, Superintendent Dance committed to me that funding would be in place to address the severe overcrowding at Perry Hall Middle School. A similar commitment was made to at least one of our School Board members. Now, there is suddenly no funding in the proposed capital budget to begin this process. No funding has been proposed for either an addition at Pine Grove Middle School – one option – or to build a separate middle school. No plan is in sight. I am appalled by this. It is an affront to the thousands of parents who have children at Baltimore County’s largest middle school, to the teachers and faculty at PHMS, and to northeastern Baltimore County at large. Without immediate relief, Perry Hall Middle School’s enrollment is expected to climb from 1,737 students in 2015 to 2,048 students by 2024, according to Baltimore County Public Schools projections. Put another way, the school was at 105.7 percent capacity last year, a figure that will soar to 124.7 percent in 2024. This is unacceptable! Unfortunately, as a Councilmember, I cannot add to the budget request that is sent to me in April. The Board of Education makes the request, then the County Executive presents the proposed budget to the County Council. I can lobby for funding, but at the end of the day, I can officially only delete from the budget request. So now is the time for you – the parents and citizens of northeastern Baltimore County – to make noise. Inform Dr. Dance and County Executive Kevin Kamenetz that you support immediate funding to begin the process of reducing overcrowding at Perry Hall Middle School. Their contact information is kevin@baltimorecountymd.gov, 410-887-2450, for the County Executive; and ddance@bcps.org or 443-809-4554 for Superintendent Dance. Please copy me at dmarks@baltimorecountymd.gov and School Board member Julie Henn at juliehenn.bcps@gmail.com.